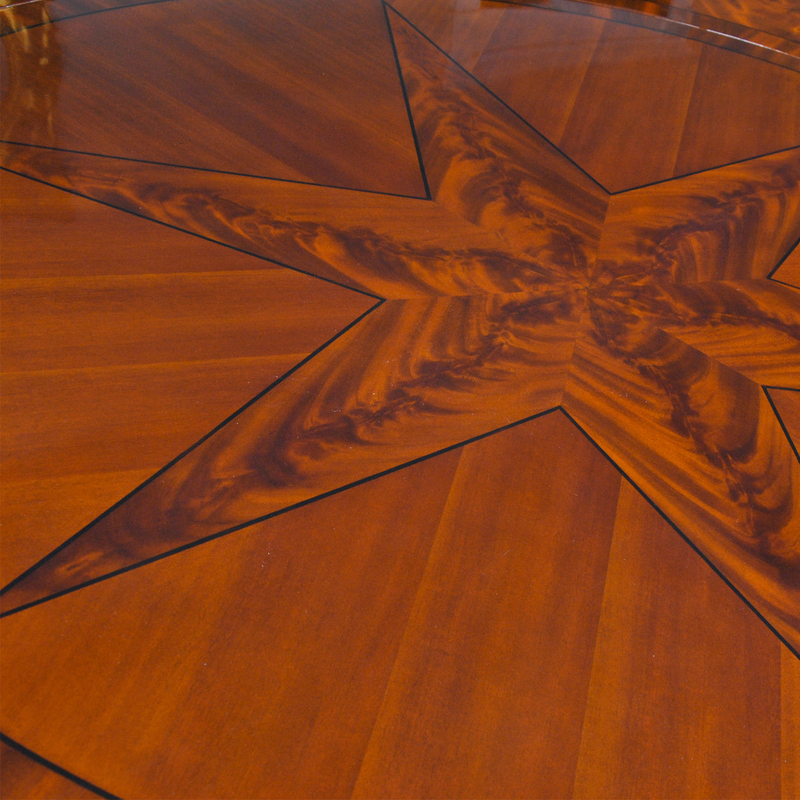 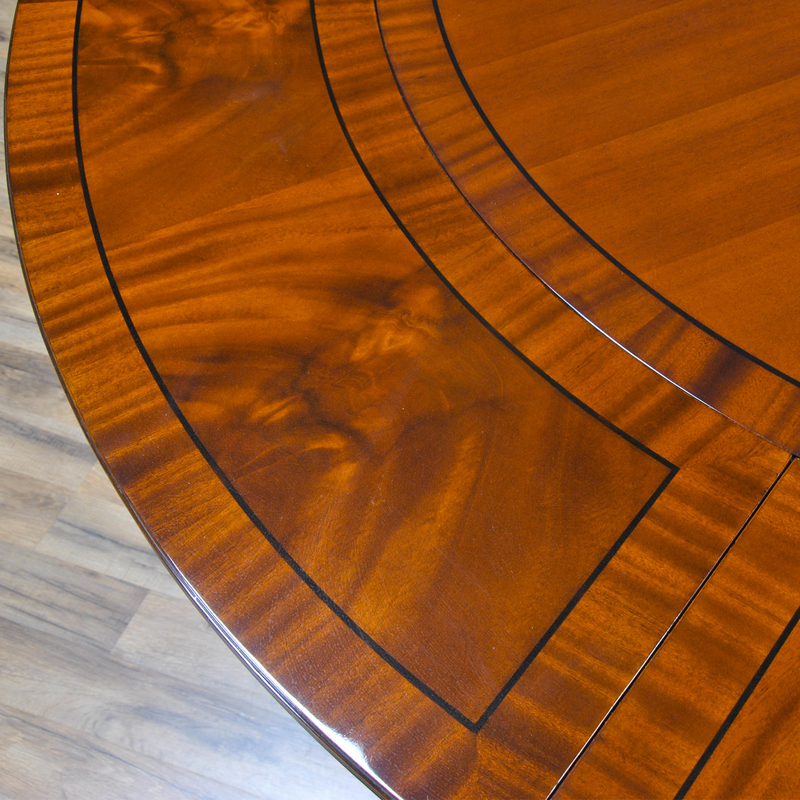 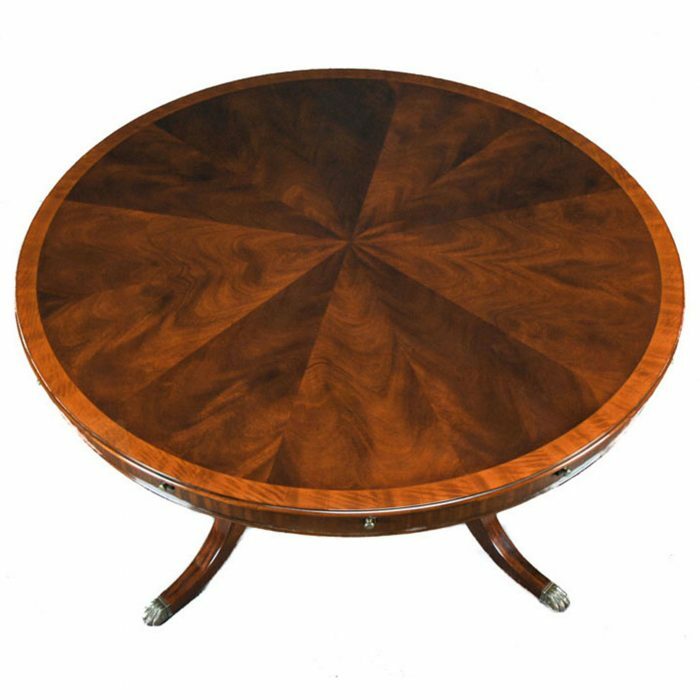 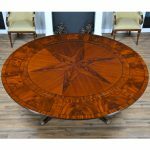 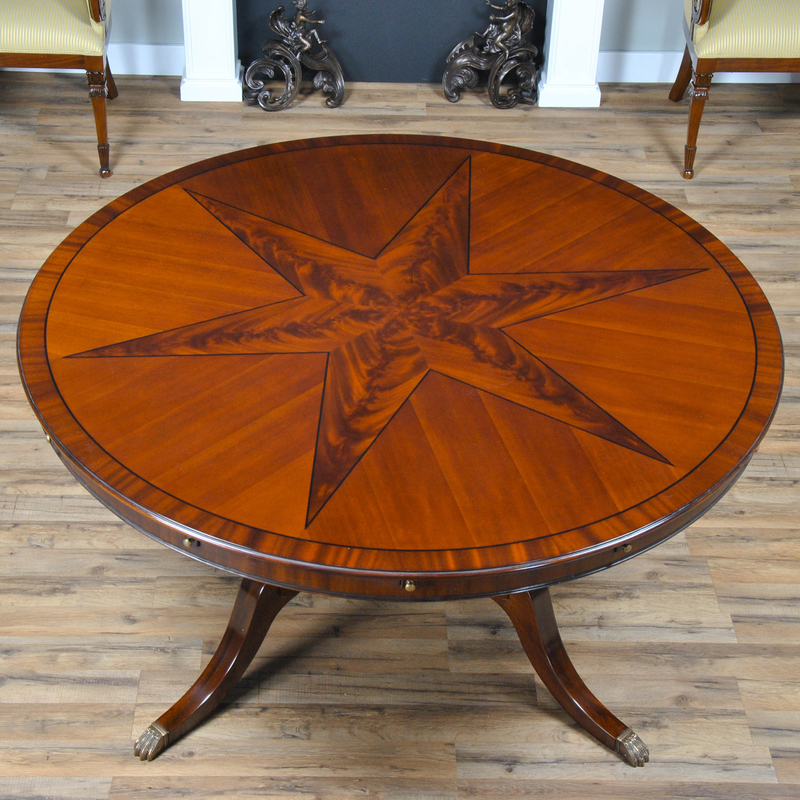 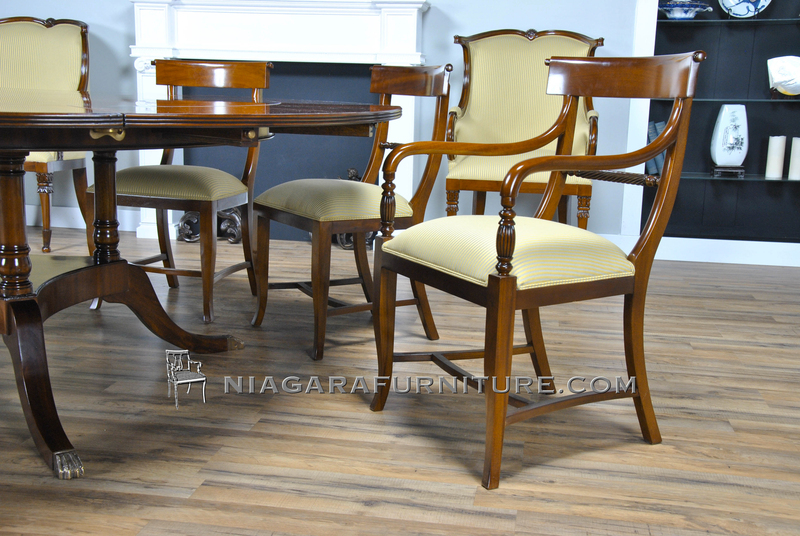 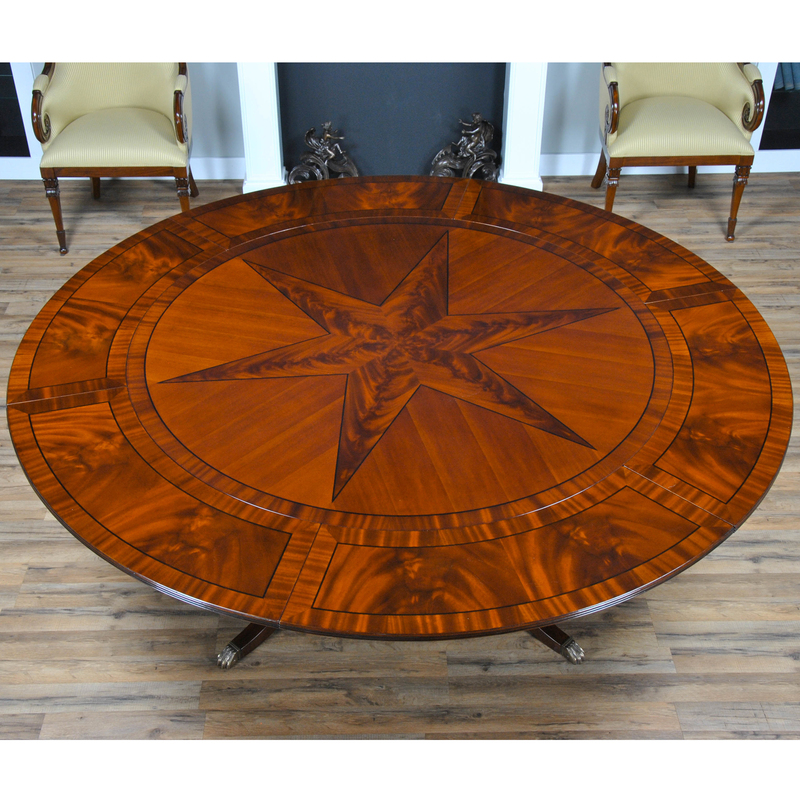 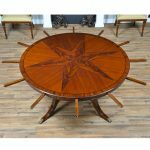 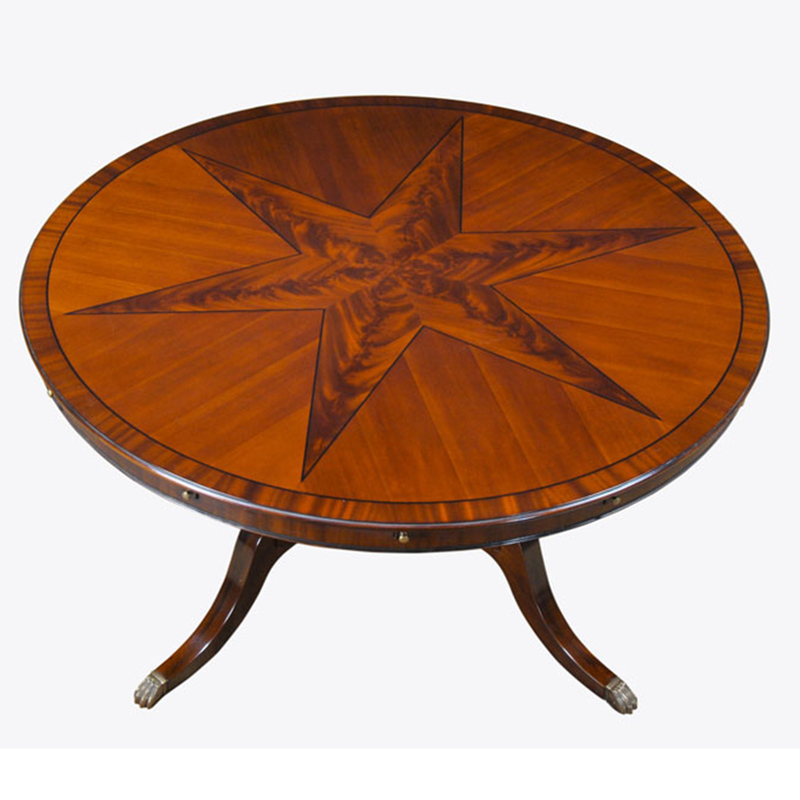 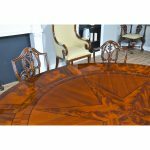 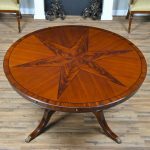 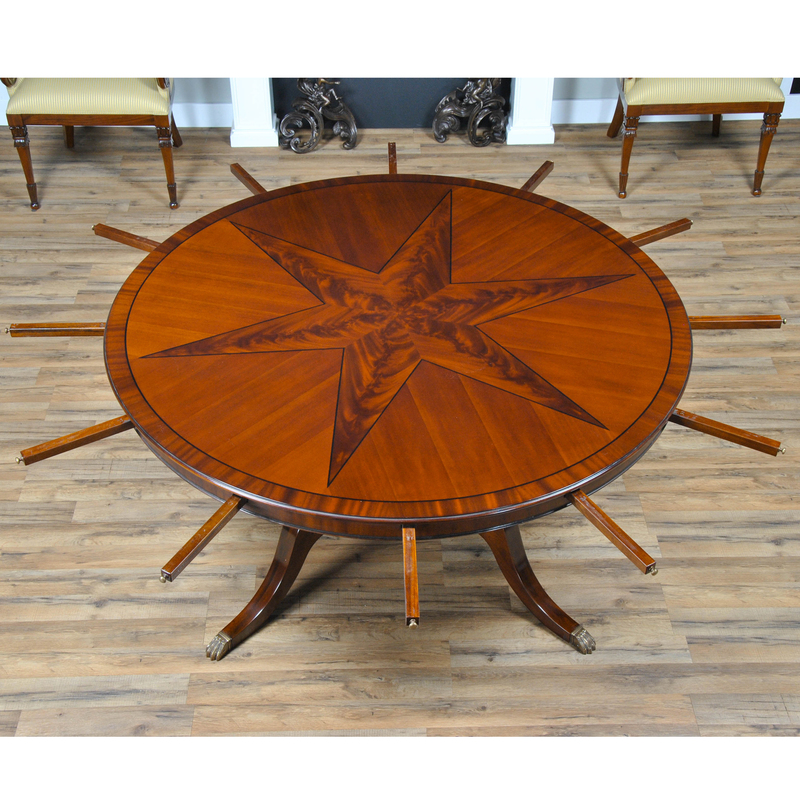 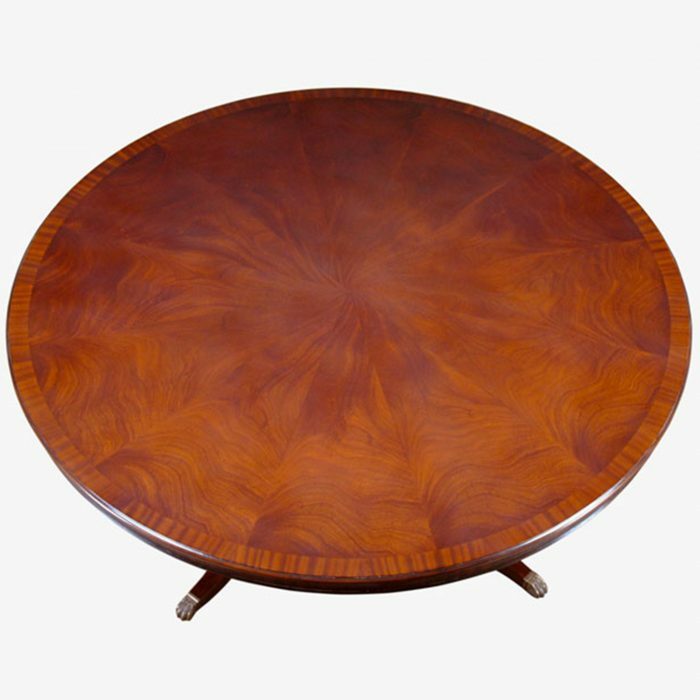 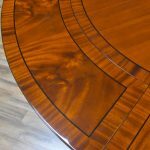 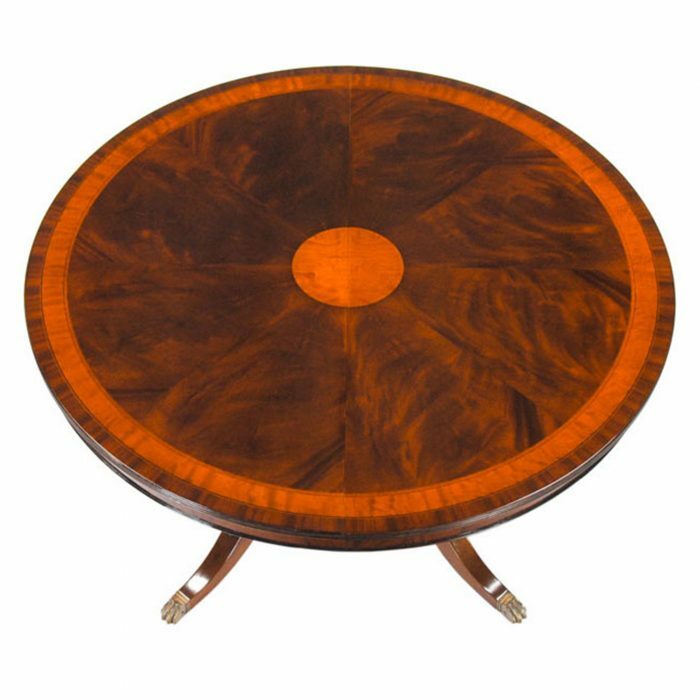 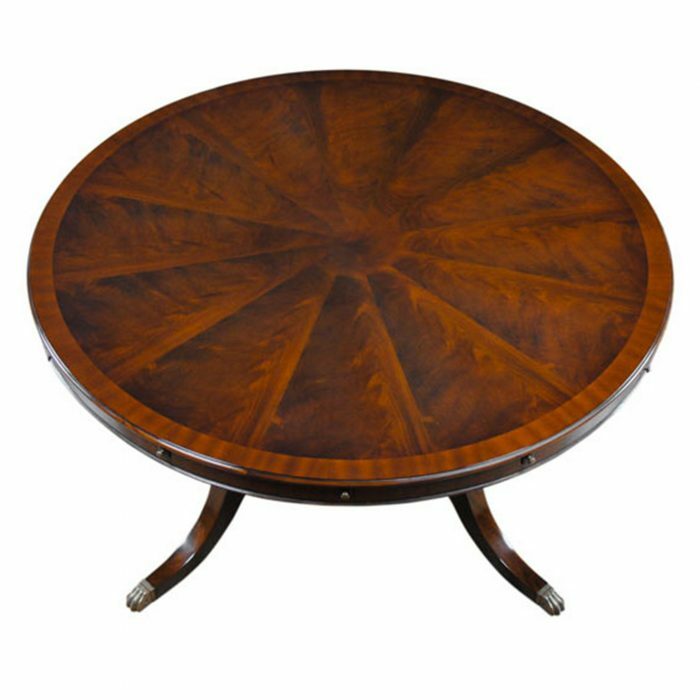 A sixty inch round Star Perimeter Dining Table from Niagara Furniture produced using the highest quality figured mahogany star in the center of the field and sapele banding around the edge of the table which makes for an interesting contrast in the pattern on the top. 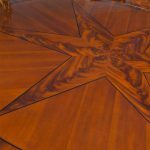 Surrounding the top can of the Star Perimeter Dining Table can be placed six leaves which rest on pullout slides and the leaves are fastened in place with metal locking mechanisms to give the table an overall diameter of eighty four inches. 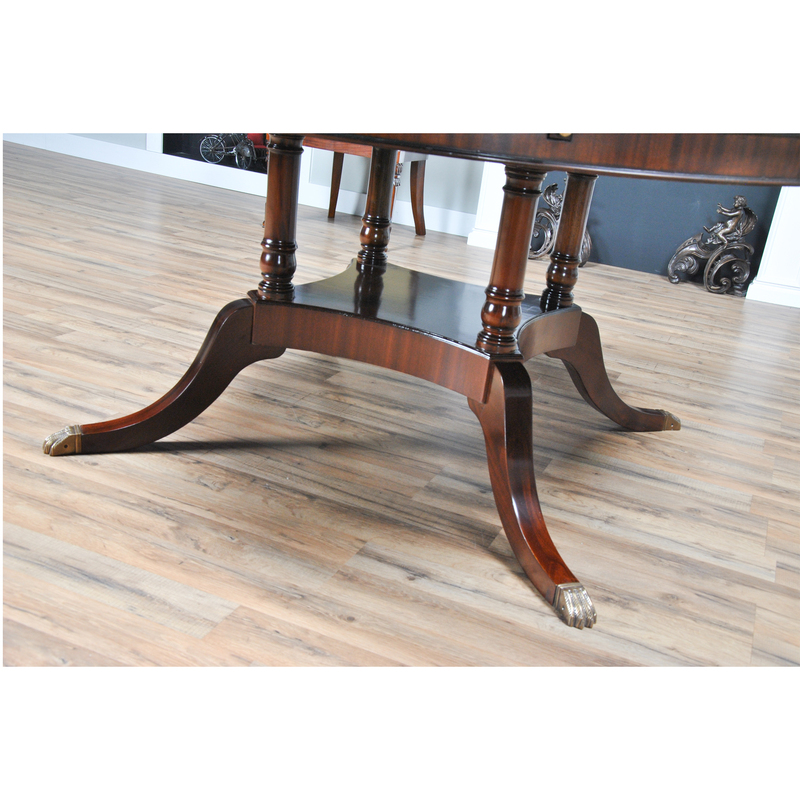 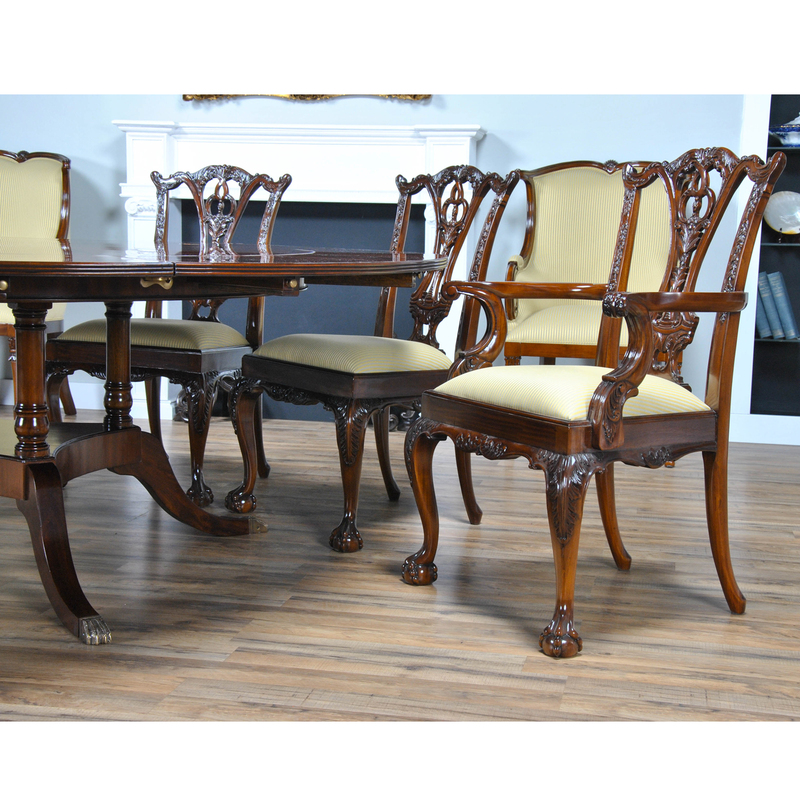 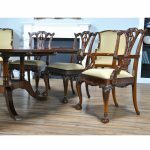 The elegant base is pillared over top a central platform resting on shaped and tapered legs capped with beautiful brass, Regency style feet. 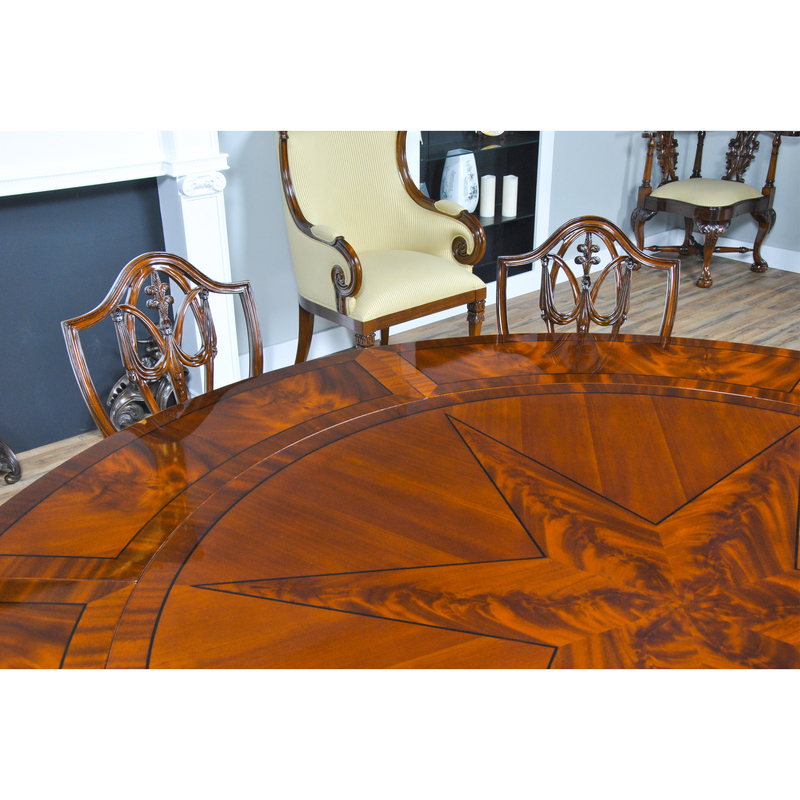 Great for dinner parties this table allows everyone seated to feel they are at the place of honor. 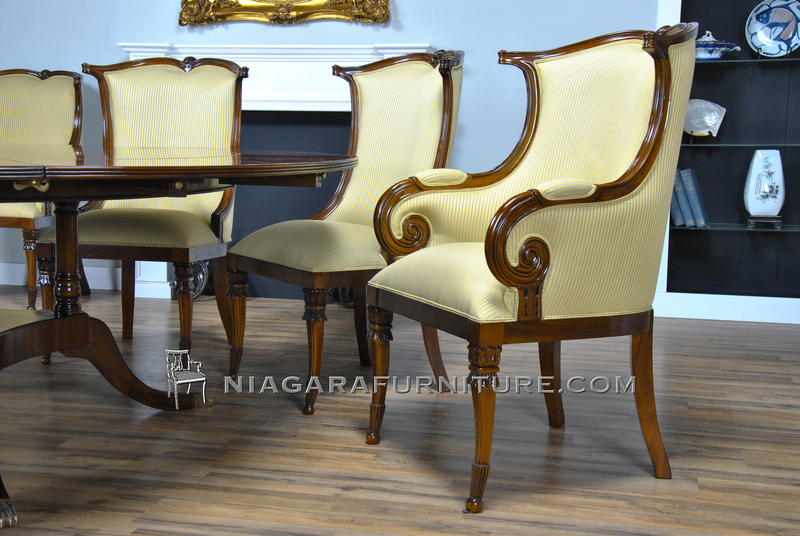 With leaves in place can seat up to ten people.